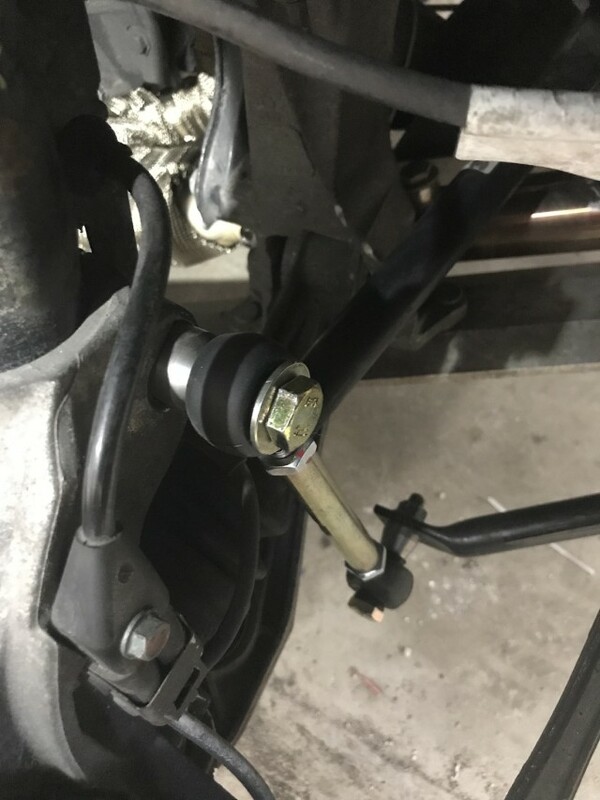 In preparation for installing a 04 550 se complete sport suspension from a low mileage donor car, I decided to replace my drop links as they are a bit floppy and a couple of boots are torn. A complete set of drop links from a reputable OEM such as TRW, Lemforder, or Meyle will run between $125 - $150. This seems to be pretty steep for a set that is not adjustable. However, a complete adjustable set from Tarett, RSS, or Elephant is an expensive $500+. 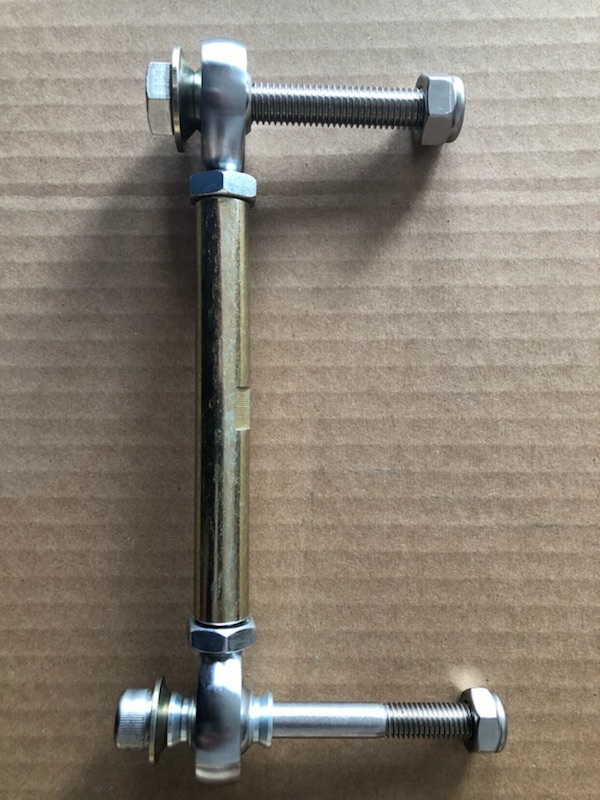 I would really like to put the $125 - $150 that I would spend on a stock style set towards an adjustable set to remove any preloading of my new bars and to use for any future adjustable bar setup but I will not spend $500+. So I decided to build my own as I have built links for 4x4 applications in the past and have access to CAD/machining tools. Searching the interwebs for suppliers of needed metric parts leads me to a UK based motorsports company that is well reviewed. Any search on the googler will bring it up. 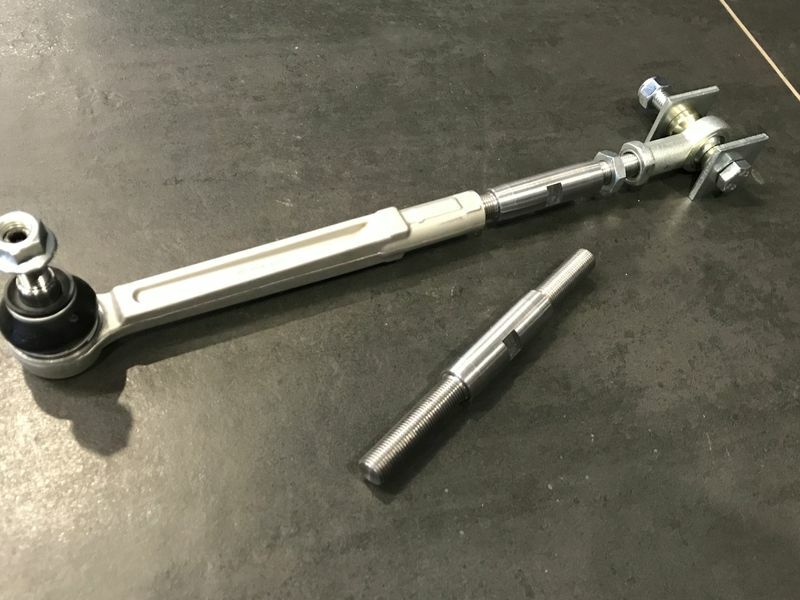 I measure a distance of ~200mm between centers of the top and bottom joint and the supplier offers a turnbuckle link to create a 180 – 210mm adjustable joint. After assembling the links, I plan on designing/machining stainless steel steep angle high misalignment spacers targeting lengths to make the final installation as plumb as possible on both axes. I will order the M12/M10 fastening hardware after determining the required lengths. 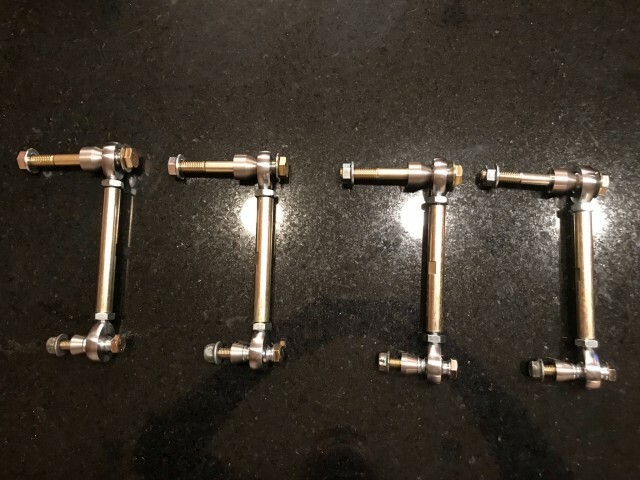 The ordered parts and hardware will run approximately $250 leaving me with a complete adjustable drop link set for only $100 more than I would have to pay for an OEM style set. 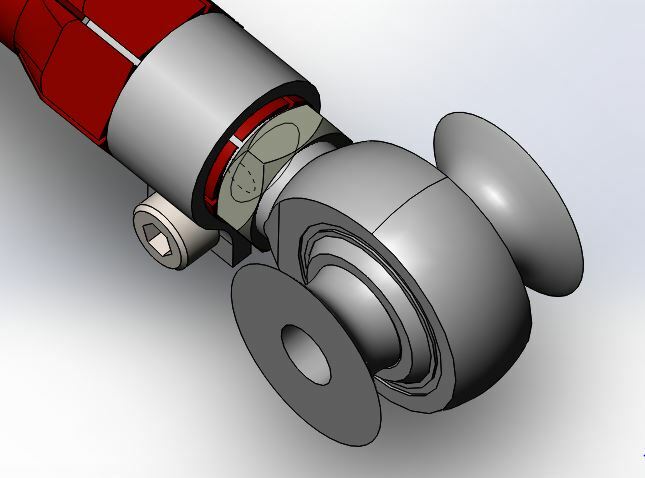 If successful it would be interesting to look into building some adjustable rear toe links. Post some pics when you receive the parts , I like where you are heading with this . I played around with toe links today instead of working on the car because Fedex lost my intake parts and my drop link parts are somewhere between here and the UK. I am looking to build clamp style links as it seems easier to set toe without tightening nuts and having the length change on you. I added nuts in addition to the clamps for added safety that the length won't change. Link is based on 1 1/4" 7075 aluminum hex bar. I will probably increase the minor OD as it is now 1". 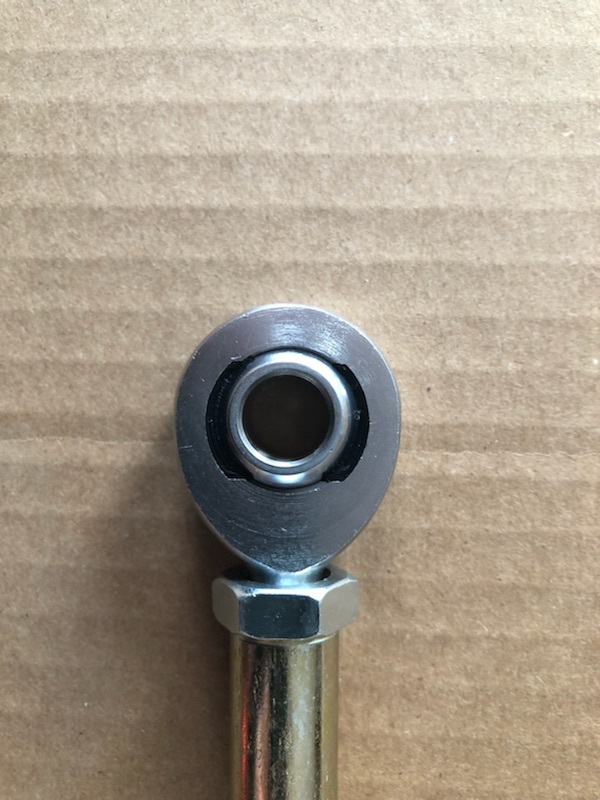 The misalignment spacer is too small for the rod end in the assembly but I designed the spacers based on the dimensions of the rod end I will source. 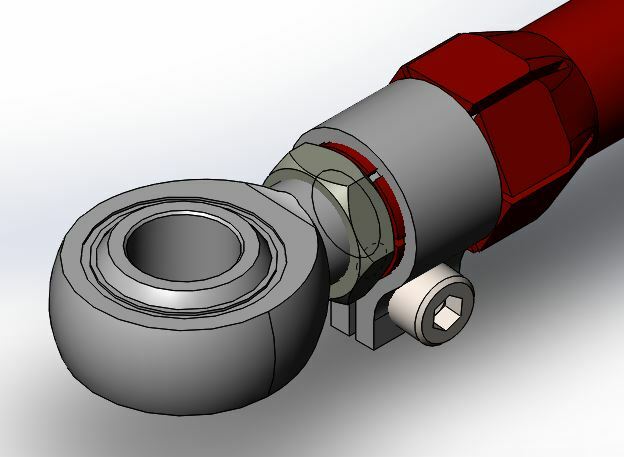 The rod end in the assembly is just one I pulled from the CAD library. 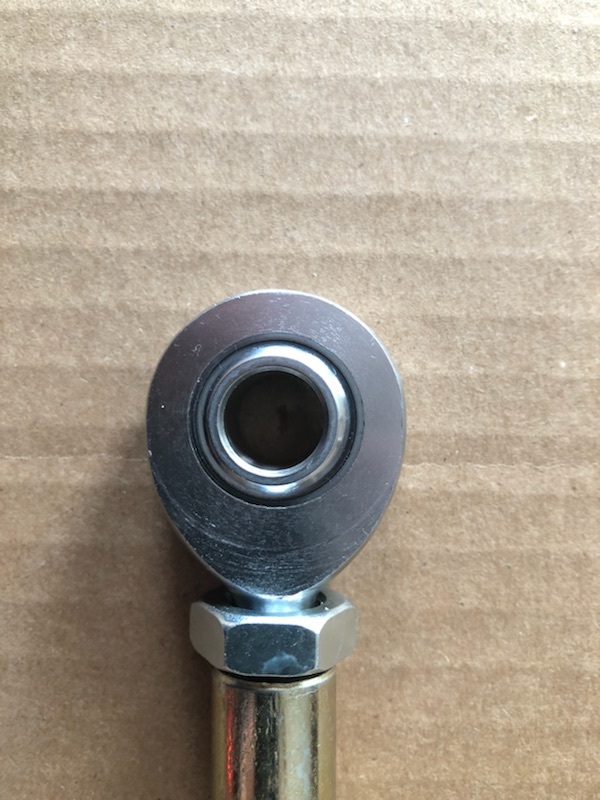 Rod end is M16 with M16xM12 misalignment spacer reducer to work with the M12 fasteners. 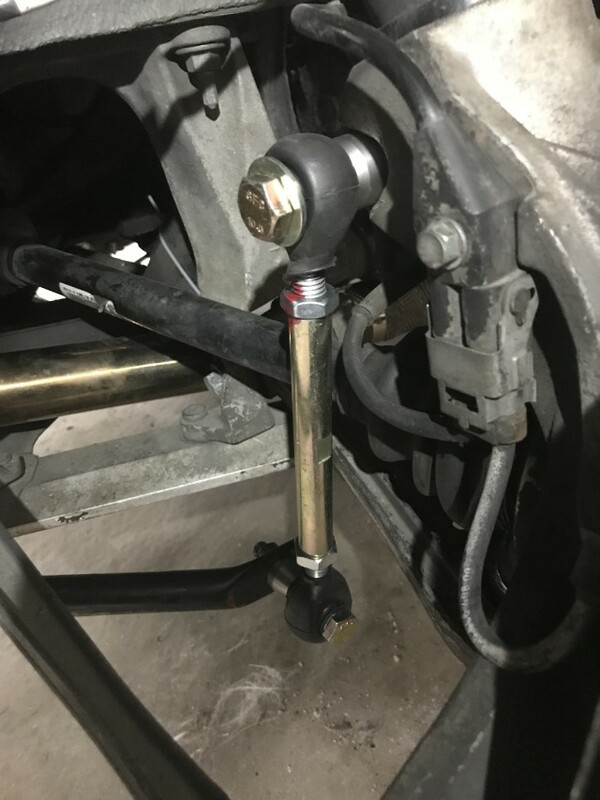 If I knew how to change a thread title I would change it to 'Let's build some adjustable links' as I think I will be messing with all of them on my car before I am done. Last edited by P_Carfahrer; 12-17-2017 at 12:53 AM. I received my parts yesterday and the parts are very good. The rod ends are really nice and I am happy with them. 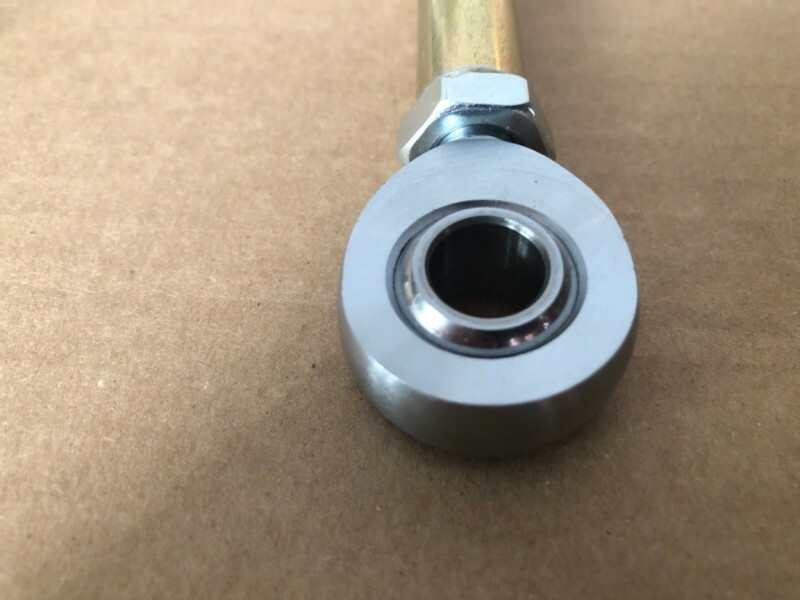 The supplier says they are the best rod ends you can buy and since it is on the internet it must be true. Right? The 12mm spacers for the 12mm bolt head side are a couple degrees more limited than the 10mm high misalignment reducers and I haven't decided if I will leave them or build some without the limitation when I build the other spacers I need. Don't mind the bolts as they were the only M12 and M10 stuff I had. Car suspension is disassembled while I install the m030 springs/bars. When it is put back together I can get it loaded and get the needed spacer measurements and correct hardware. Last edited by P_Carfahrer; 12-24-2017 at 12:57 PM. Also, rev3 of toe links. Who is the vendor of the purchased parts ? Pics look good this has potential . Hard to tell from the pics are the threaded ends a fine thread pitch ? McGillmotorsports is my source. The only negative is the shipping from the UK. It would be cool to order parts for multiple installations at once instead. 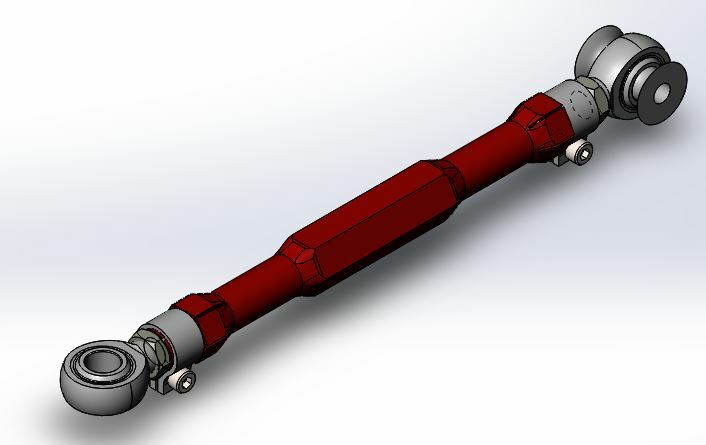 I am looking at ordering M16 and M18 joints for the toe links and tension arms to have to play with in the design. I have a similar setup. I suggest using QA1 rod ends, which can be sourced from Summit. Don't forget McMaster-Carr, they carry a good selection of turnbuckles and joints. 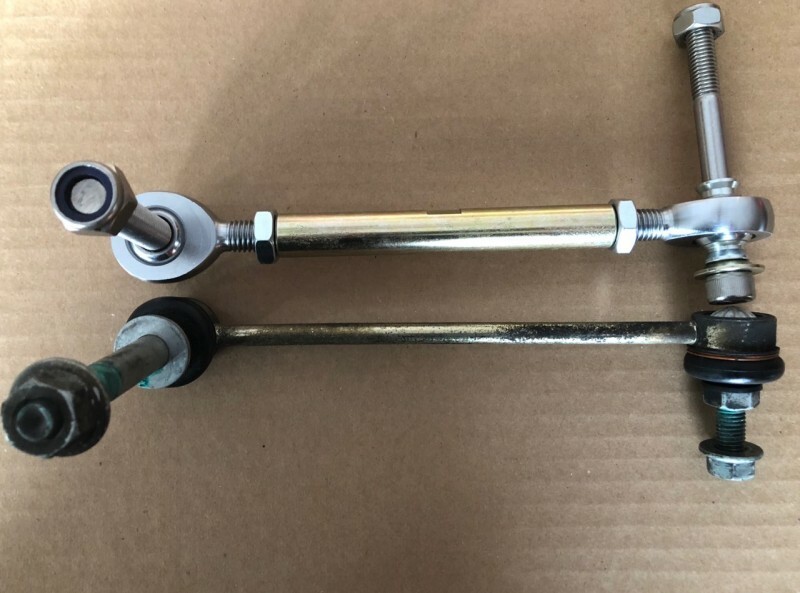 Stupid question......... how do you determine that the rod ends/center section are strong enough for automotive use vs. strong enough to straighten out a fence gate ? I'm being serious , is it a tensile strength rating ? When I got some home brew toe links I looked at the McGill rod ends. They weren't good enough and have used Fluoro. They have done well and last 3 years easily whereas the previous owner using McGill wore them out within 12-18 months. Also, you shouldn't need to ship these half way across the world. There must be some suppliers in your own country for this stuff. Very nice! 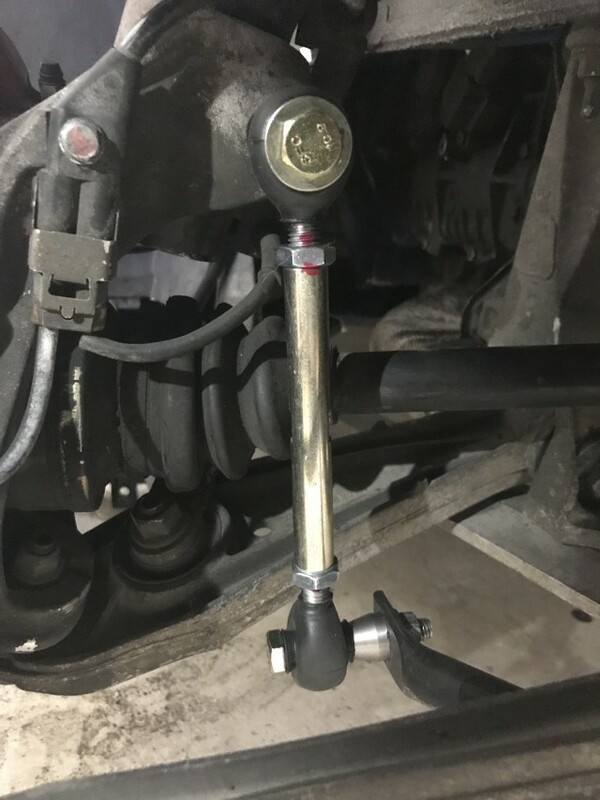 A standard OEM outer tie rod from the front paired with a custom assembly? How much would something like that be? 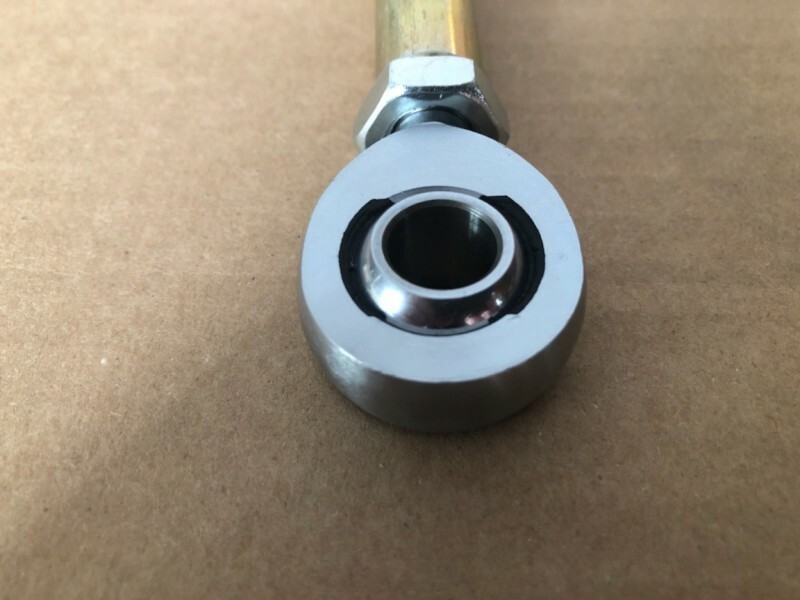 Edit: do you have a 2nd jam nut on the outer side that attaches to the tie rod end? Last edited by steved0x; 03-12-2018 at 07:29 AM. They look very nice, and I like your lockout "squares" to replace the eccentric bolt on that end too! When I started this project I had hoped to finish it quickly before my work schedule got insane. Needless to say I was not successful as witnessed by my silence on the subject over the last months. Finally, last week I got some time to measure up what I need for spacers and mounting hardware for my drop links. I made some CAD drawings, machined the spacers, and bought 10.9 hardware from a local bolt/nut supply house. Tomorrow I will get the boots on the rod ends and hopefully get them installed. Here is a pic of them on my counter. As far as rod ends go, these are the Kevlar reinforced Teflon lined type for their racing series. Last edited by P_Carfahrer; 04-25-2018 at 10:04 PM. I got the drop links installed last week and I am really happy with them. Boots were a pain to get on. I put 100lbs of dumbbells and my 80 lb son in the driver side to set the pre-load. Top bolt is 10.9 M12 x 120 and bottom bolt is 10.9 M10 x 65. The M12 bolt was 1.75mm thread pitch so I had to get new nuts as the stock nut is 1.5mm threaded. 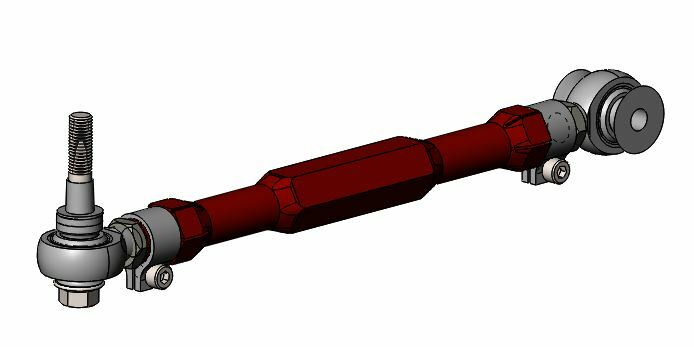 I am happy to share CAD files of the spacers to anybody interested. Would you consider selling complete assemblies?